One great aspect of now living near Lou is that I can just pop over for a drink. Which is exactly what I did yesterday after work. Lou suggested a random selection so I had stood up a random bottle of the 1970 Chateau Ducru-Beaucaillou, Saint-Julien midday. 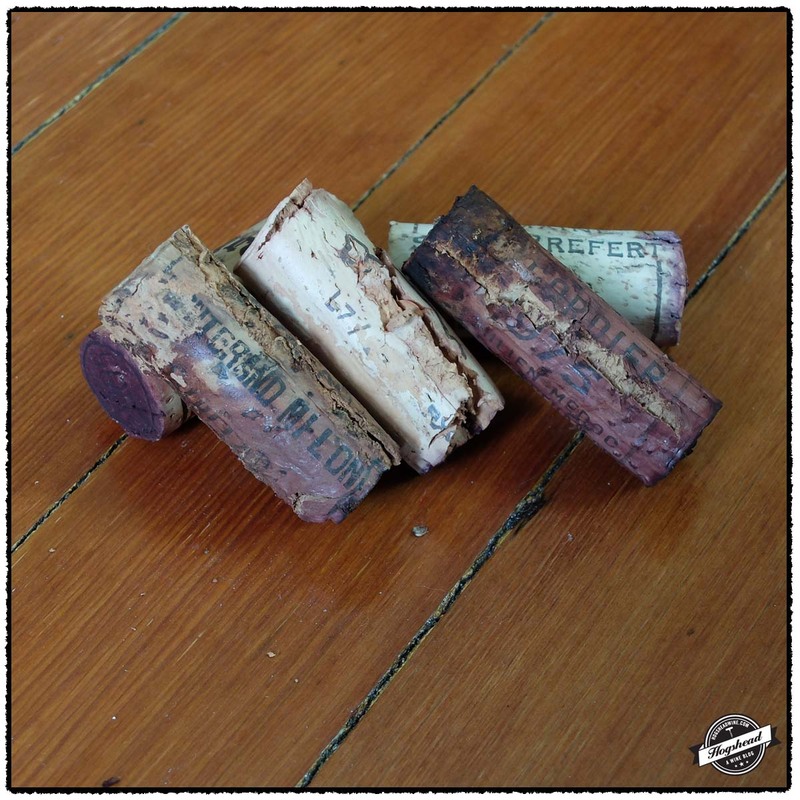 I opened the bottle at Lou’s house, successfully removing all but the very last bit of cork using a Durand. I was able to fish this last bit out using just the screw. Not knowing the condition of the wine we poured from the bottle rather than decanting for sediment. The wine was certainly stinky and tight at first but the nose cleaned up after half an hour of air and the flavors developed their dimensions. I drank my share of the wine both at Lou’s house then at home with Jenn. 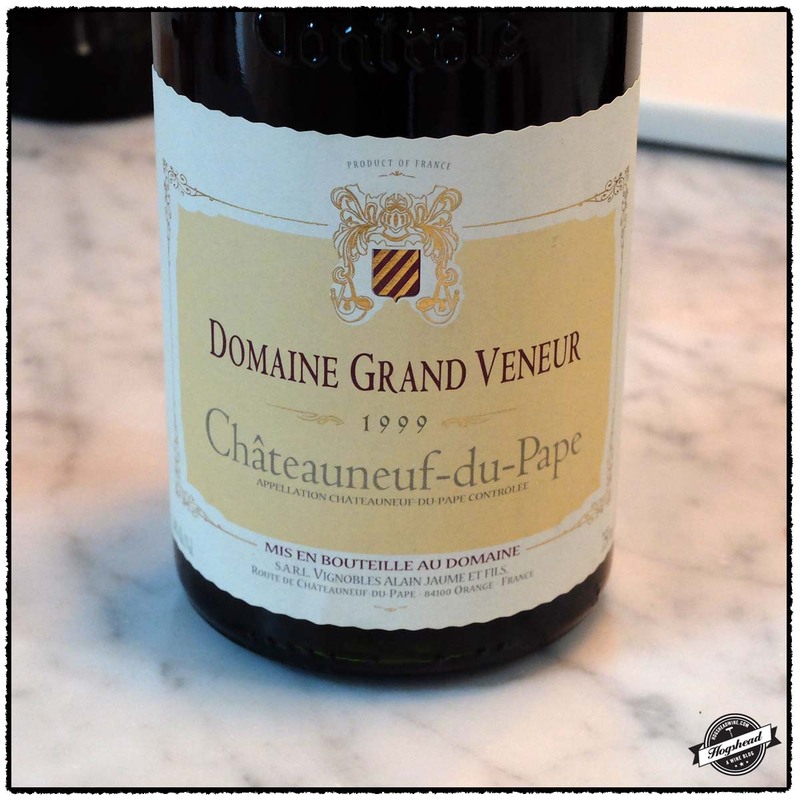 I did the same with the 1999 Domaine Grand Veneur, Chateauneuf du Pape. 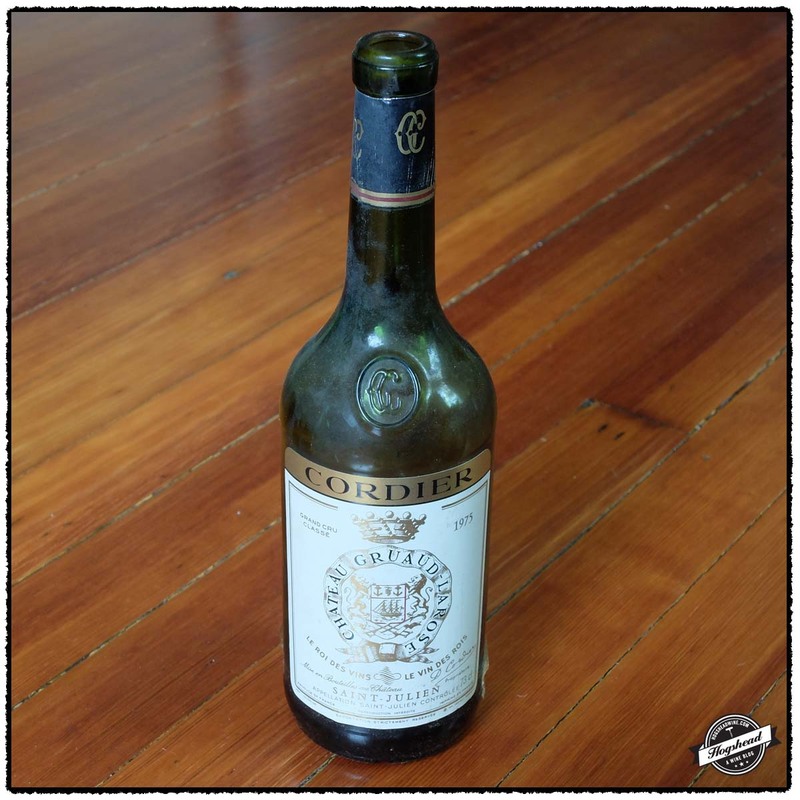 The Grand Veneur was a lighter, mature wine which was generally agreeable all around. Lou had double-decanted this wine so it was ready to taste. I would drink this Grand Veneur before it thins out even more. 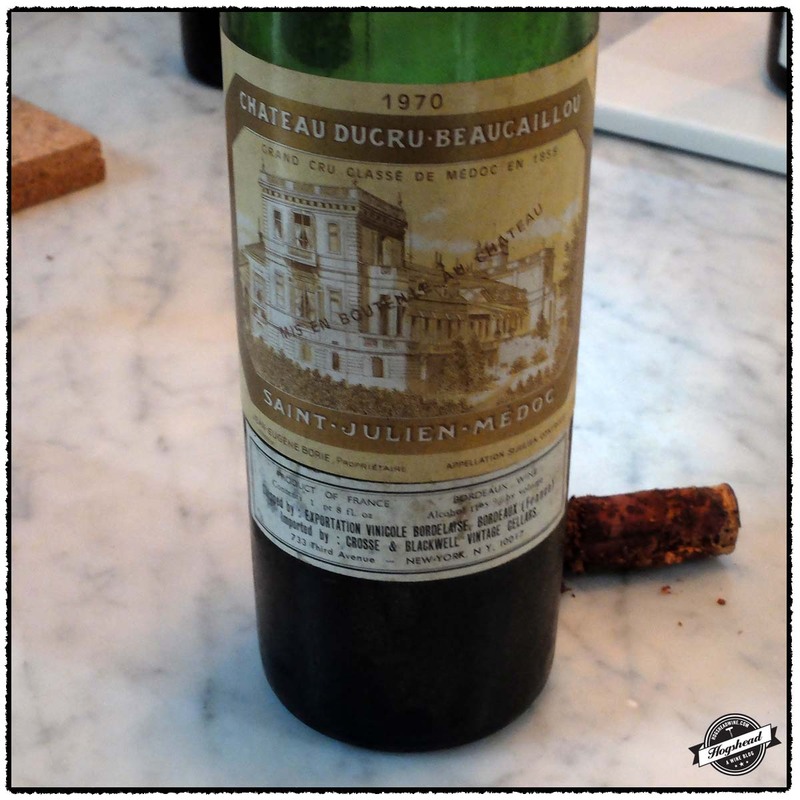 It was the Chateau Ducru-Beaucaillou that we prefered and finished up first. There was more complexity, more mouth-weight, and overall satisfaction in drinking. In truth I had hoped for a bit more presence but given that we were still happily drinking it while sitting on the couch watching home renovation shows, is all that matters. What a great way to end the night! Imported by Ginday Imports. This wine is a blend of mostly Grenache with Syrah and Mourvedre which was aged in vat and oak casks. Alcohol 14%. There were both wood notes and some sour red fruit that was generally attractive. In the mouth were black fruit flavors, garrigue towards the middle with a slightly rough finish. The wine oscillates between roundness and in need of more flesh. Sometimes there were hints of ripeness. ** Now but will last. Imported by Cross & Blackwell Vintage Cellars. Upper-shoulder fill. Alcohol 11.5%. There was a good, moderately deep garnet color. The nose had quite the bottle stink at first which morphed into wild onions and eventually cedar underlaid by onions. The wine eventually became savory and mouthing filling with notes of cedar followed by tart red and black fruit. The middle was lifted with a sappy nature, integrated acidity and a decent length. There was even still some ripe structure and blue fruit which was left on the gums. The wine was a bit linear at times with a short finish but did give ethereal sensations of midplate ripeness. ** Now. Memorial Day weekend marked the second weekend in our new house. We promised our daughter that she could invite several friends over so we hosted a BBQ/playdate for the families. I would say that all of the adults drink wine on a regular basis but with minimal knowledge. 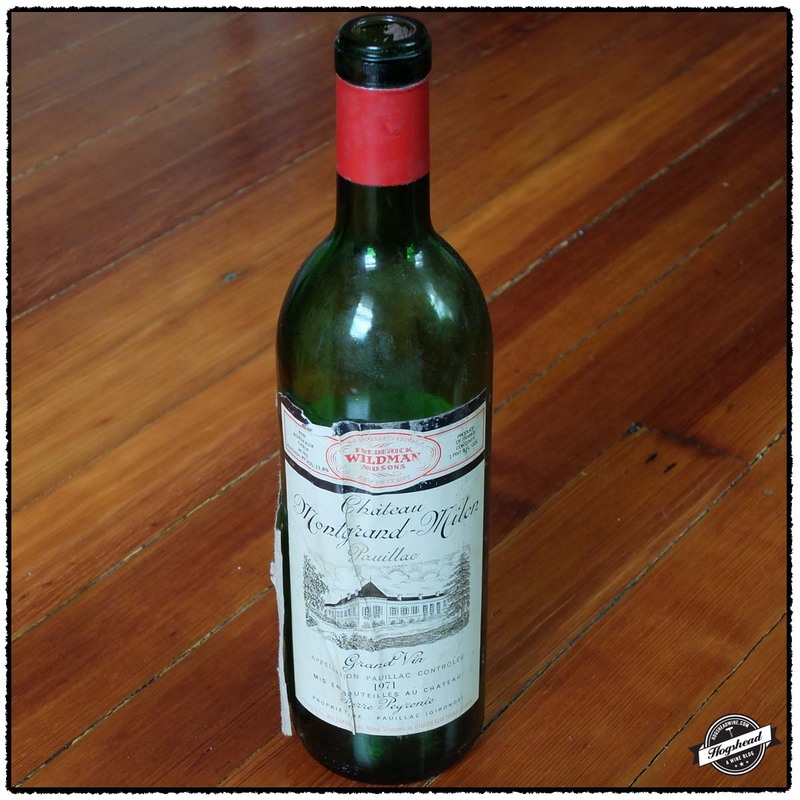 I decided to open the 1971 Chateau Montgrand-Milon, Pauillac for one couple that love to cook. I figured that old wine should be drunk in an old house. With my knowledge being limited to the 1970, 1975, and 1978 vintages I thought this bottle of 1971 might be passed its prime. 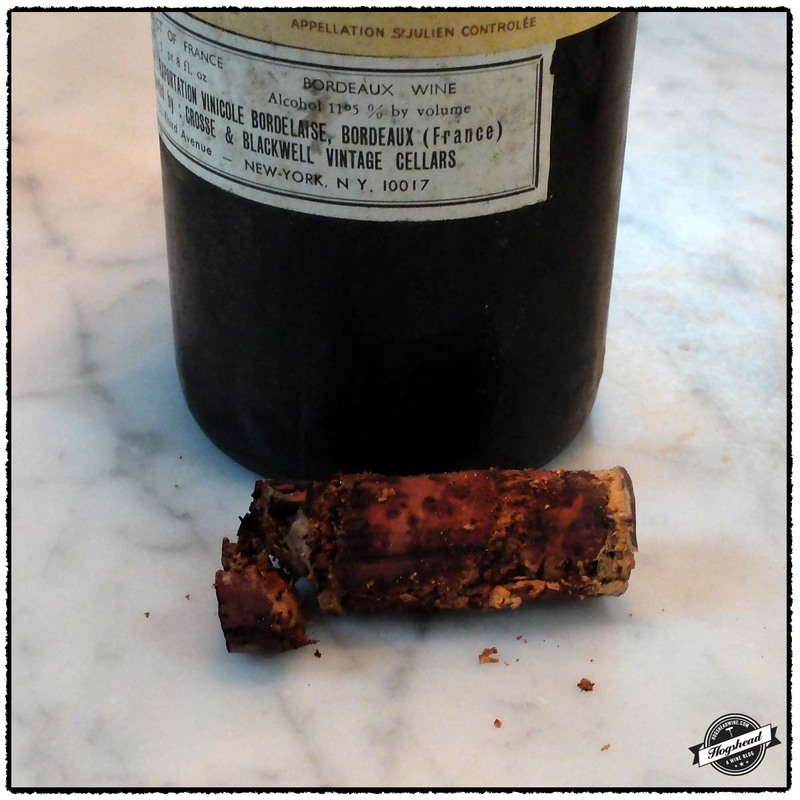 So I used my Durand to pop it open and to my surprise the wine was in great shape. In fact this bottle opened up after half an hour and continued to drink perfectly well until it was drained. 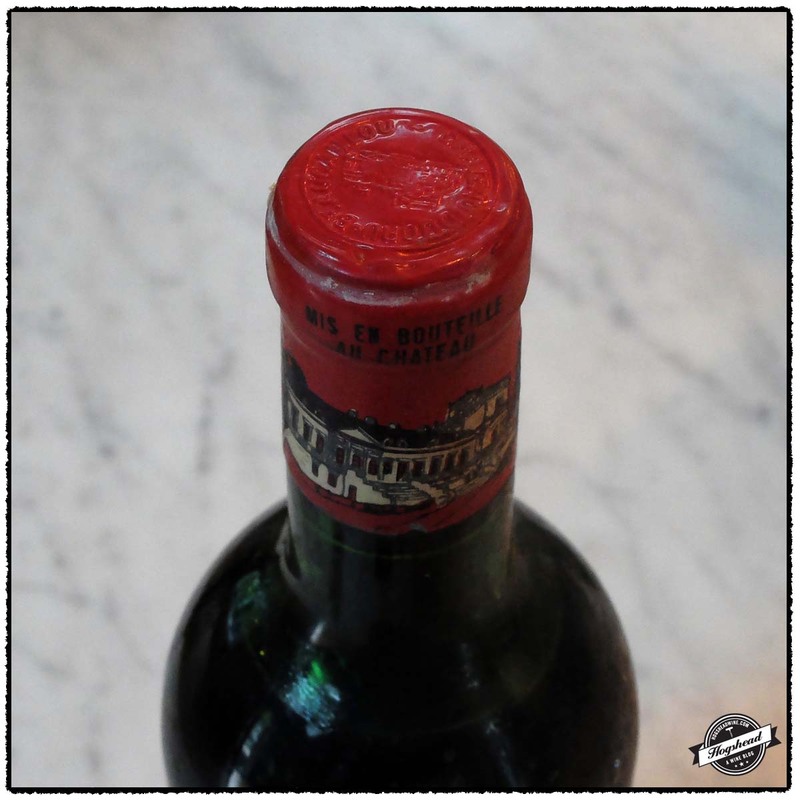 According to Michael Broadbent the 1971 vintage was “relatively small but good quality” and that many wines “turned out better than the ’70s.” Chateau Montgrand-Milon is the second label of Chateau Fonbadet, a Crus Bourgeois Superieur. David Peppercorn noted in 1991 that the proprietor made “solid, classic Pauillacs.” Solid, indeed was this bottle. This was the favorite wine of everyone that evening. There is no requirement that old and mature wines be great in my mind. They must simply exhibit tertiary flavors that only come with age and drink well. This bottle clearly met that requirement. I also opened a bottle of 1975 Chateau Gruaud-Larose, St-Estephe which had the lowest fill of the quartet recently purchased. Unfortunately, the fruit on this bottle had subsided such that the acidity and structure were more prominent. Still, the bottle was finished and it was done so before all of the young 2012s were touched. There were some questions about how wines age so I brought up a trio of 2005 Chateauneuf du Pape that I had opened the night before. 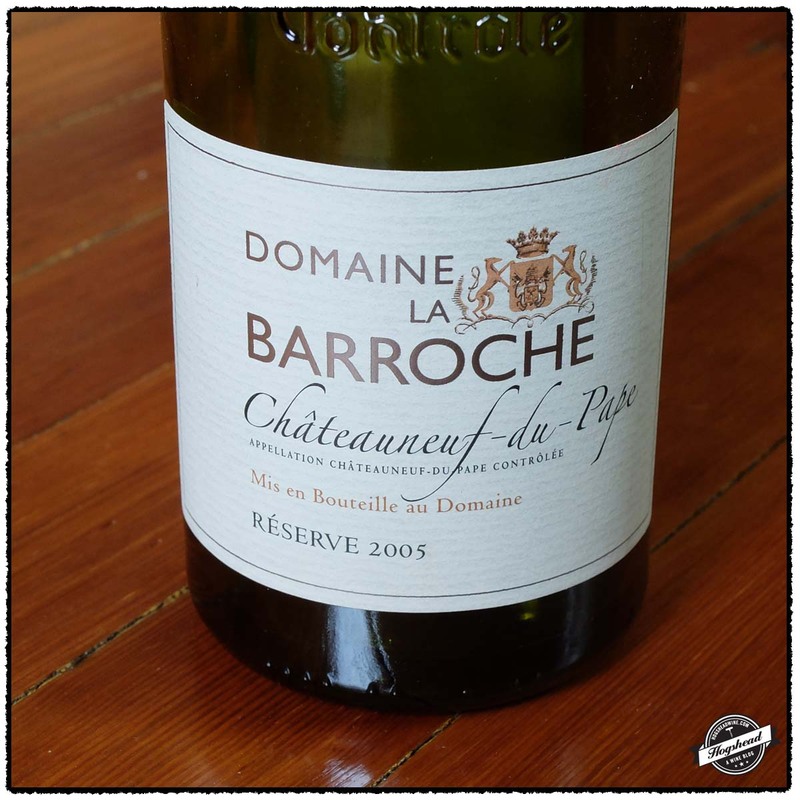 There was no denying that the 2005 Domaine La Barroche, Reserve, Chateauneuf du Pape is drinking great right now. Actually, it is drinking at its peak right now and honestly was not such a hard follow-on from the older Bordeaux. I even had to bring out another bottle! 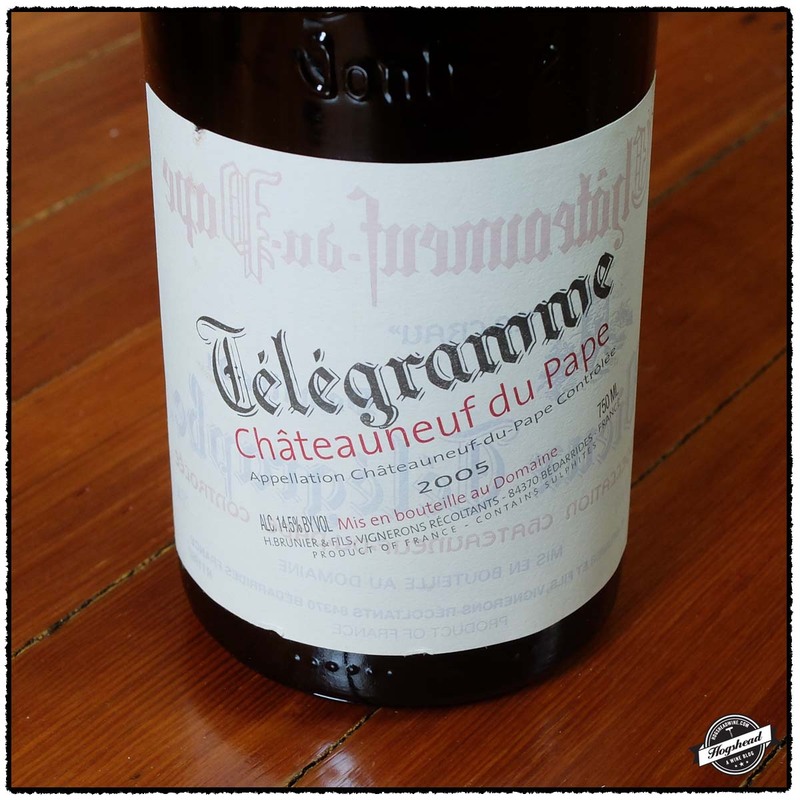 In contrast the 2005 Domaine du Vieux Telegraphe, Telegramme, Chateauneuf du Pape is still dialed down tight. It was unforgiving the first night but while it gave up more bright, red fruit on the second night, there was not a single sign of a mature flavor. This will probably last a very long time. 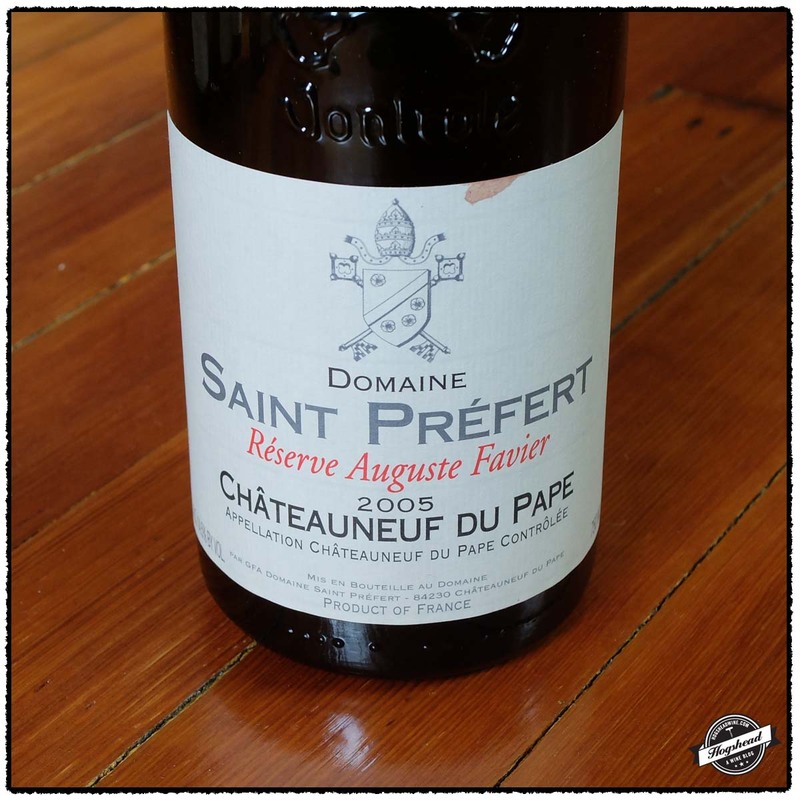 Finally, the 2005 Domaine Saint-Prefert, Reserve August Favier, Chateauneuf du Pape exhibited a personality in the middle. The maturity is coming out but the wine oscillates with air all the while showing ample power. I would try this again in two years for it has a great future ahead. I should note that all of these wines came from a cellar purchased by MacArthur Beverages. I will continue to report on other old bottles that I have opened. Imported by Frederick Wildman & Sons. 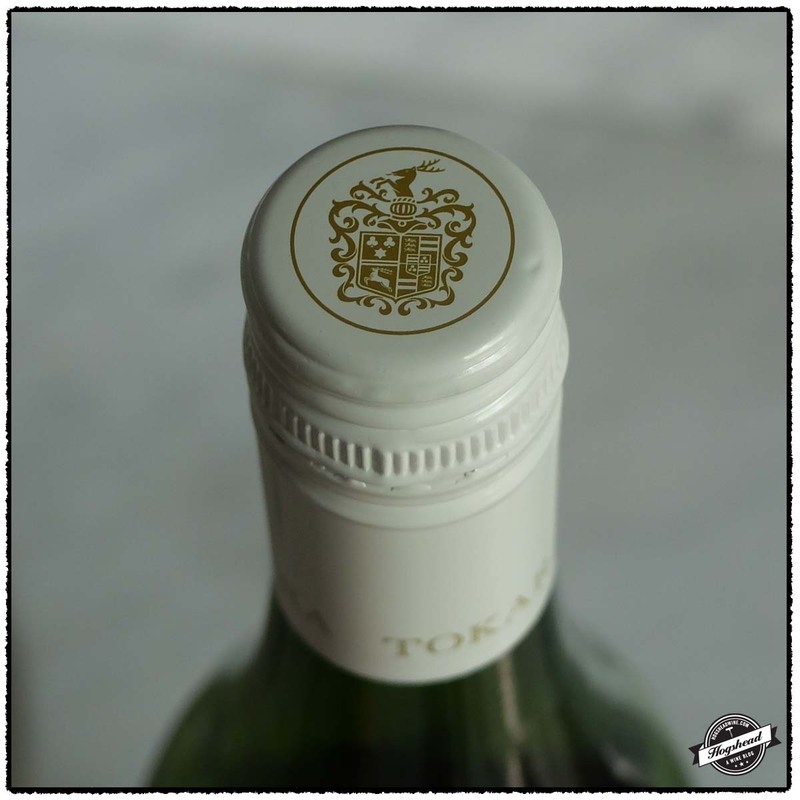 This wine is a blend of 50% Cabernet Sauvignon and 50% Merlot sourced from a 10 ha vineyard near Chateau Lynch Bages and Chateau Mouton Rothschild. Top-shoulder fill. Alcohol 11.8%. There was a delicate Claret nose with attractive cedar notes. In the mouth was a dense core of black and red fruit. The wine had a slightly earthy and foxy start with a moderate amount of ripe structure. The wine finished with a vintage perfume note. A bit short in the finish but totally enjoyable. ** Now. Imported by Majestic Wine and Spirits. Most likely a blend of 62% Cabernet Sauvignon, 25% Merlot, 9% Cabernet Franc, and 4% Petit Verdot. Top-shoulder fill. Alcohol 11-13%. This was a more rustic wine with thinner fruit but remained solid throughout the evening. Though rustic, the acidity was attractive * Now. Imported by Small Production Wines. This wine is a blend of Grenache, Mourvedre, Syrah, and Cinsault. Alcohol 15%. The nose was immediately aromatic with mature, garrigue notes. This mouthfilling wine became grippy with air offering ripe, mature flavors and ample amounts of garrigue. It took on a dense creamy, blue fruit with enough acidity to carry everything forward. It was rounded and earthy with a touch of roast. Drinking great right now so why hold on? **** Now-2018. Imported by Kermit Lynch. This wine is a blend of 90% Grenache and 10% Mourvedre sourced from younger vines. Alcohol 14.5%. This was the most taut and structured of the three Chateauneuf du Papes. There were bright red flavors, almost metallic minerality, plenty of acidity, and no signs of maturity. *** 2020-2030. 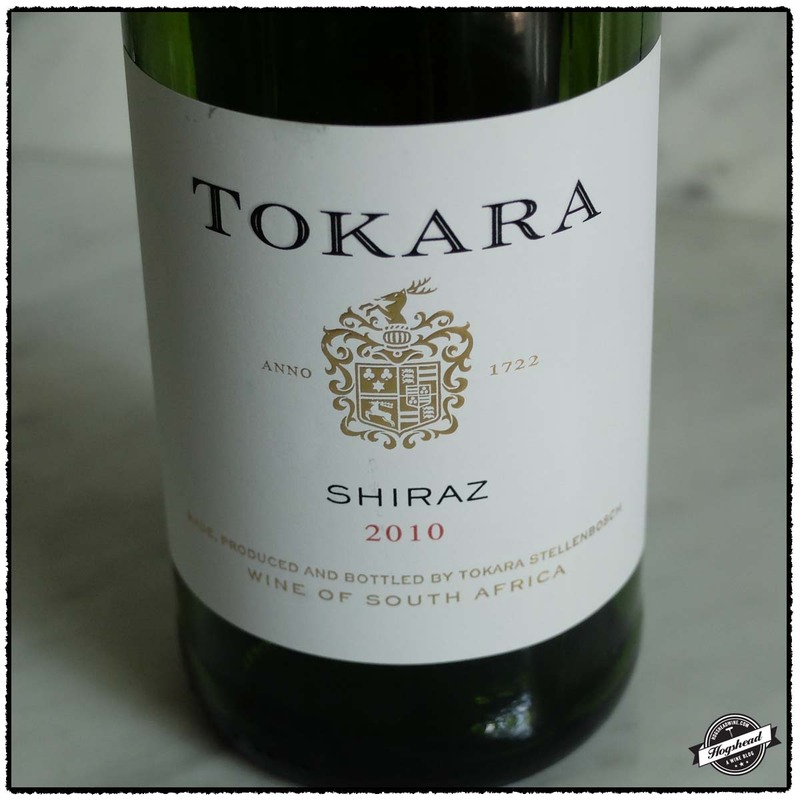 Imported by Michael Skurnik Wines. This is a blend of mostly Grenache with some old-vine Cinsault and Syrah. The fruit was whole-cluster fermented then aged for 18 months in concrete vats and used oak hogsheads. Alcohol 14.5%. There was a generous mature nose. The wine had more red flavors to start then with air both creamy flavors and flesh developed. After two days there were brighter, blue fruit flavors that oscillated with ripe black cherry fruit while maintaining a grippy nature. This round, dense wine remained fresh with a lot of power. **** Now-2025. We have now lived in the new house for one week and at this point, I have unpacked most of my wine books. Given that I am also beginning to feel rested means I am making progress on many fronts. Another mark of progress was mowing all of the lawn. I was hot and sweaty afterwards so while I tended the grill I gulped some glasses of the 2013 Brezza Giacomo & Figli, Nebbiolo, Langhe. 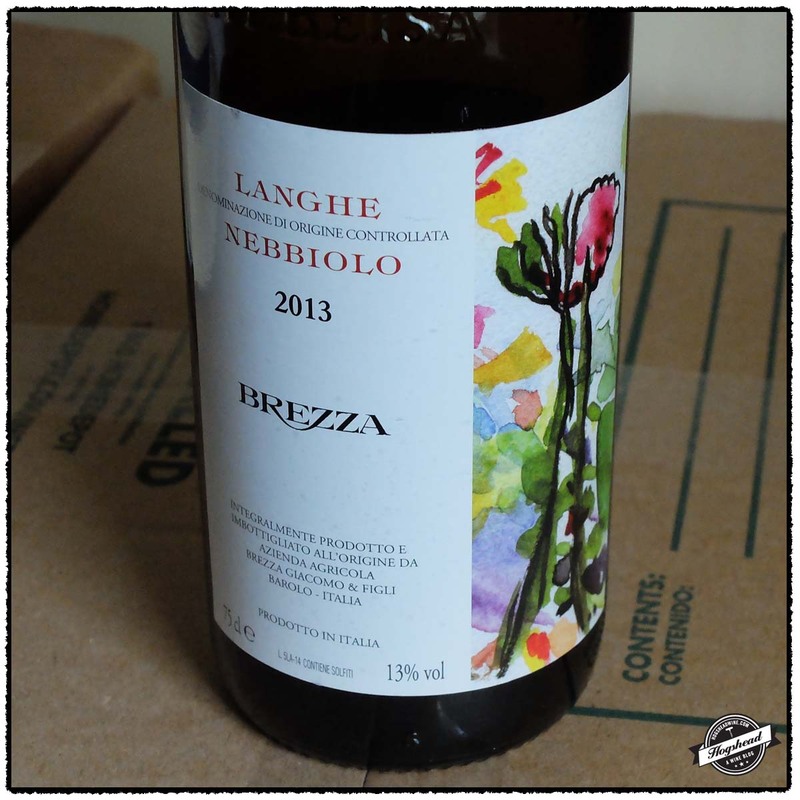 I never knew that young Nebbiolo could be so forward and refreshing! While it is true there is structure for the short-term, this wine is best drunk at a cool cellar temperature on the first night. The second wine in this post is completely different in nature. 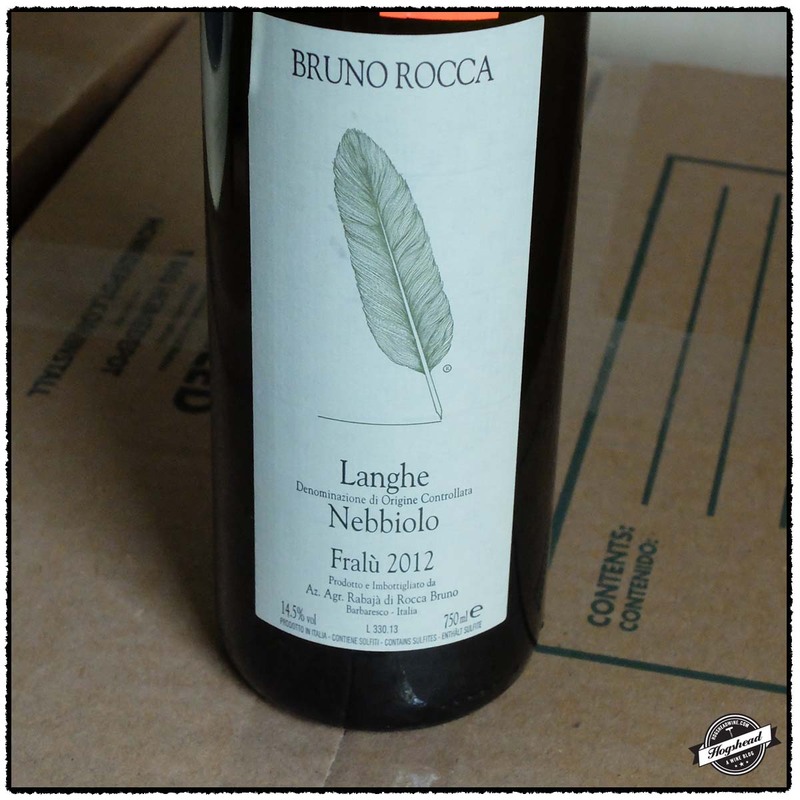 Though made from young vines the 2012 Bruno Rocca, Nebbiolo, Fralu, Langhe shows good complexity and depth. I really liked the flavor of this wine but the bit of oak coming out suggests you should cellar it for the short-term. These wines are available at MacArthur Beverages. Imported by Tenth Harvest. 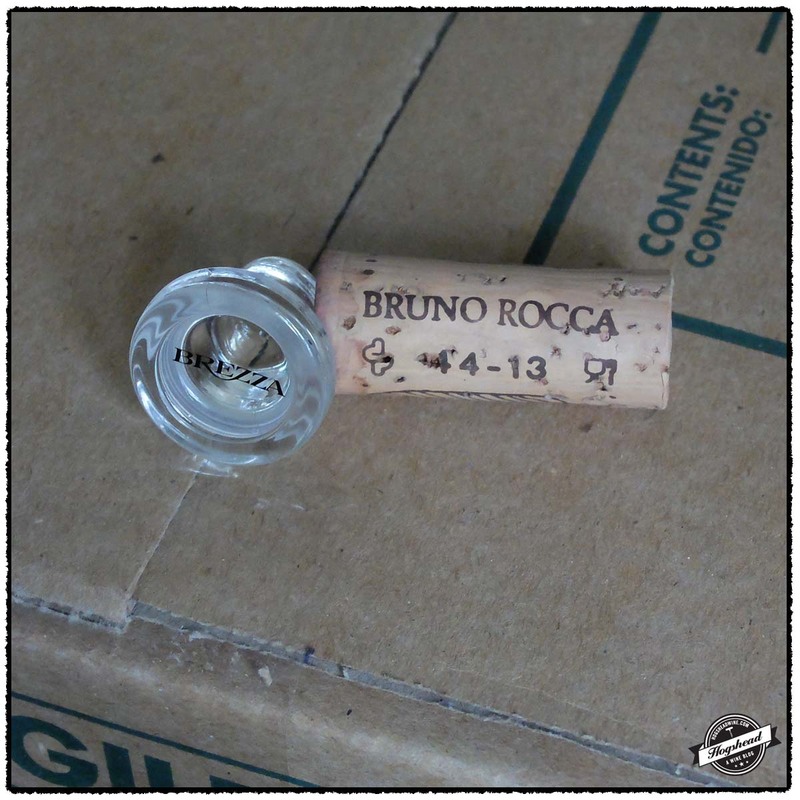 This wine is 100% Nebbiolo that was raised in stainless steel and cement vats. Alcohol 13%. There were young grapey aromas from the nose. In the mouth was a floral, red fruited start which quickly turned into black fruit. The flavors were a little bitter with present and integrated acidity. The rather fine tannins covered the gums in the finish. A lighter, young wine for now. ** Now-2018. Imported by Bacchus Importers. This wine is 100% Nebbiolo sourced from vines 6-7 years of age that were fermented in stainless steel then aged for 8-12 months in French oak barriques. Alcohol 14.5%. The nose brought deeper, scented ripe aromas. In the mouth the fine, drying yet ripe and weighty tannins acted as a foundation from the start. The wine showed depth of flavor with cool, dense black fruit, some oak notes, and an attractive inky finish. The structure became more evident with air as did a cinnamon note. **(*) 2016- 2020. A 16th century image of vineyard work for the month of March. 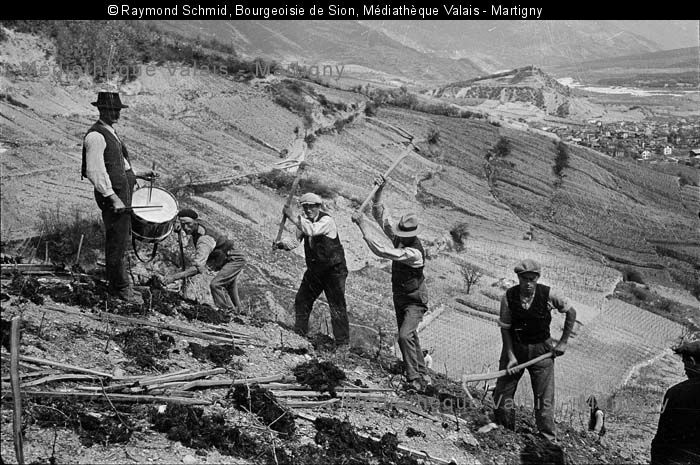 In keeping with the theme of vineyard workers, this image moves us from the 20th century back to the 16th century. 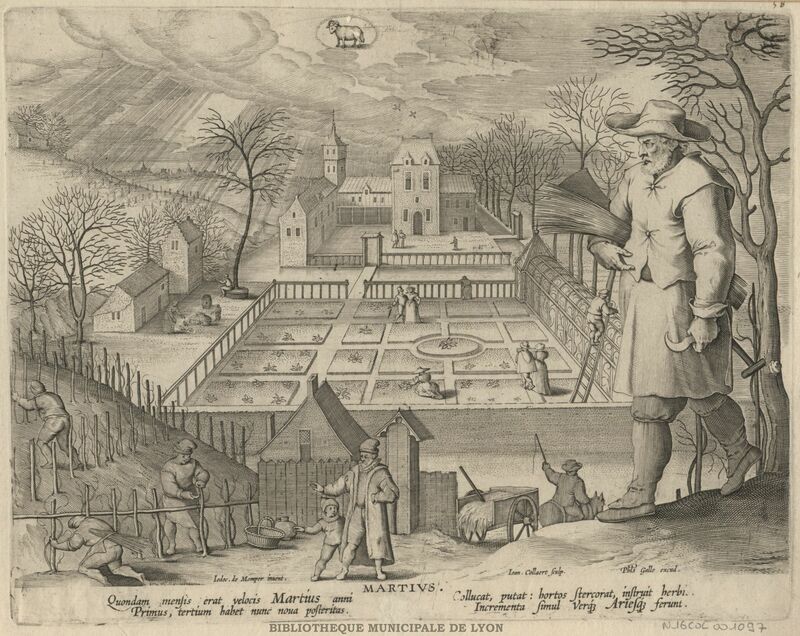 This image shows an estate during the month of March which, according to the description, is a time for fertilizing and training. As such, in the left foreground are three men working in the small vineyard. Their work involves tending stakes and training the vines on a simple trellis. Mars. Collaert, Adriaen and De Momper, Josse. 16th century. Item #N16COL001097. Bibliothèque municipale de Lyon. I am now writing from the new house which we moved into this past Friday. Despite immediately unpacking a good portion of the kitchen, we were too tired to cook so we ordered Peruvian chicken for dinner. Not wanting to open anything precious and having no desire to write down any notes, I popped open a bottle of NV Patrick Bottex, La Cueille, Bugey-Cerdon to drink in the living room. Its generous fruit made it appropriate for one glass. After dinner Lou came over bearing a bottle of 2012 Ar.Pe.Pe, Rosso di Valtellina made from old Chiavennasca or Nebbiolo vines located near the Italian-Swiss border. Let’s just say it was delicious and deserves to be re-tasted! 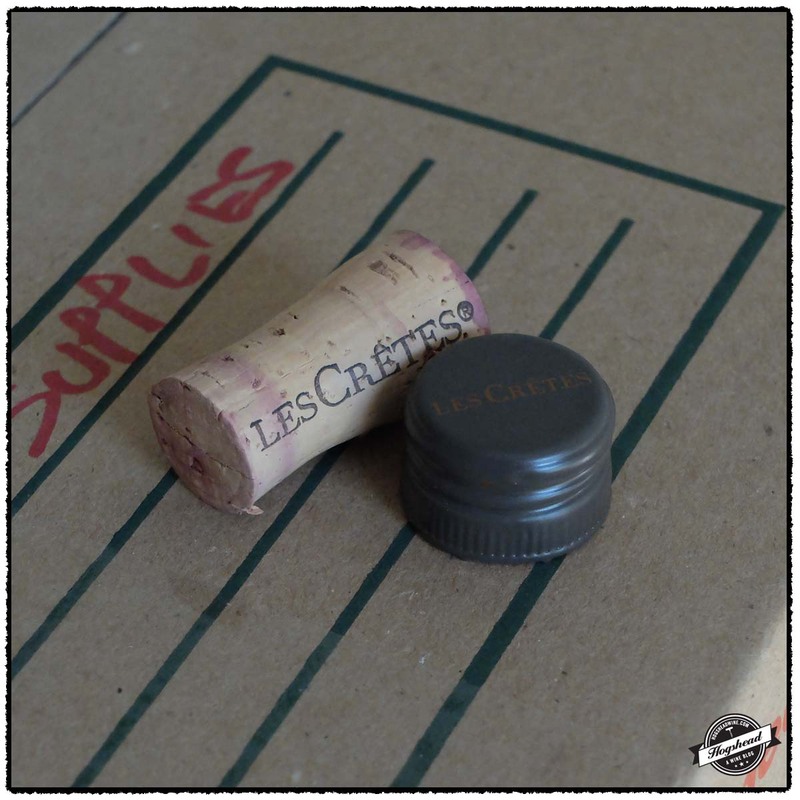 I opened a pair of inexpensive Cotes du Rhone red wines that proved to be very different in style. 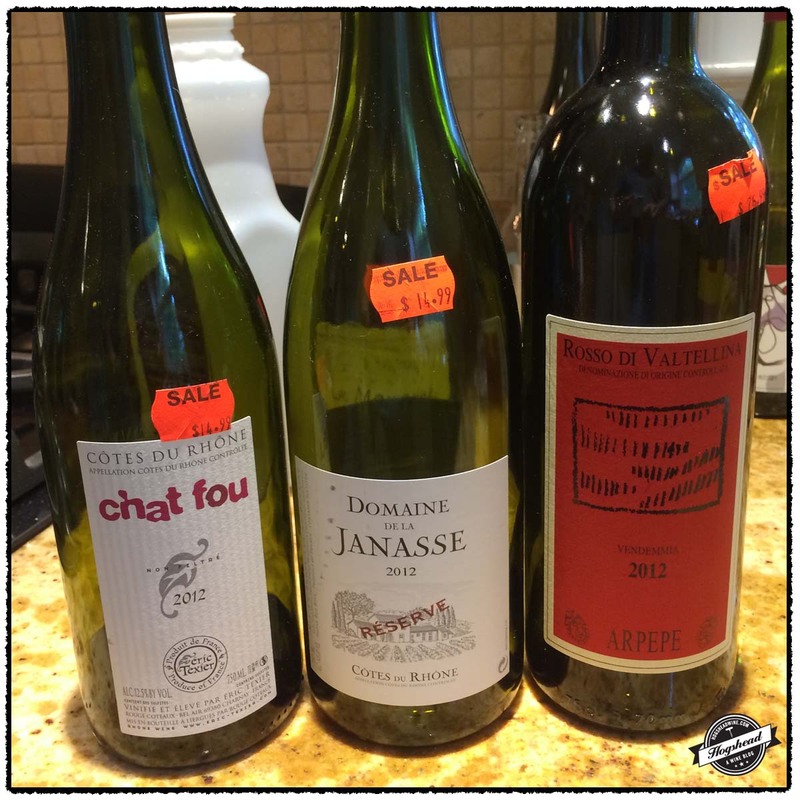 The 2012 Eric Texier, Chat Fou, Cotes du Rhone was quite complex and more ethereal in nature. A must try. The 2012 Domaine de la Janasse, Reserve, Cotes du Rhone has darker, concentrated flavors and an aura of strength. You really should drink the former while the later ages for a few years. I will follow up on these wines at some point in the future. Despite mostly drinking the same wines during this transition period, I have continued to taste with enough variety, that I brought boxes of empty bottles to the new house. I will eventually work through my backlog of tasting notes, tastings, and historical work. Just bear with me. I feel like I have finally regained my energy. Amongst the first tasting notes taken at the new house are this pair of Les Crêtes. Produced by the French Charrère family, this estate is actually located in northwest Italy. The family moved into the area in the 1700s but it was not until 1955 that they planted their first vines with the estate proper developed in 1989. The vineyards are located at elevations of 500 – 1000m which extends the harvest dates. It also makes for a pair of lovely wines. 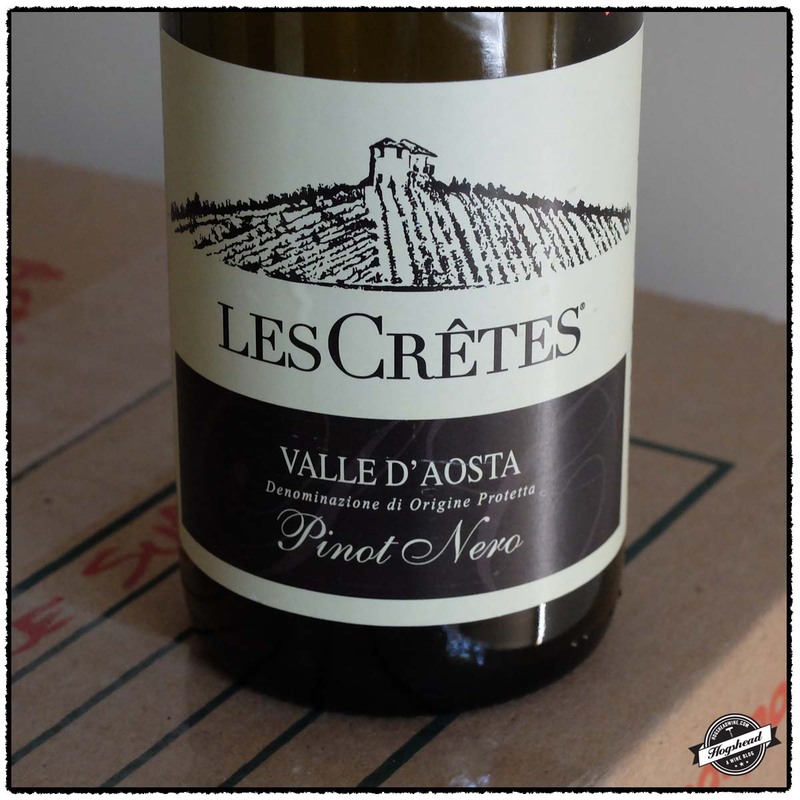 The 2013 Les Crêtes, Pinot Noir, Valle d’Aosta showed its best on the second night at which point it was aromatic and lively with orange accented fruit. I really liked it but suspect it will show its proper best this fall or winter. 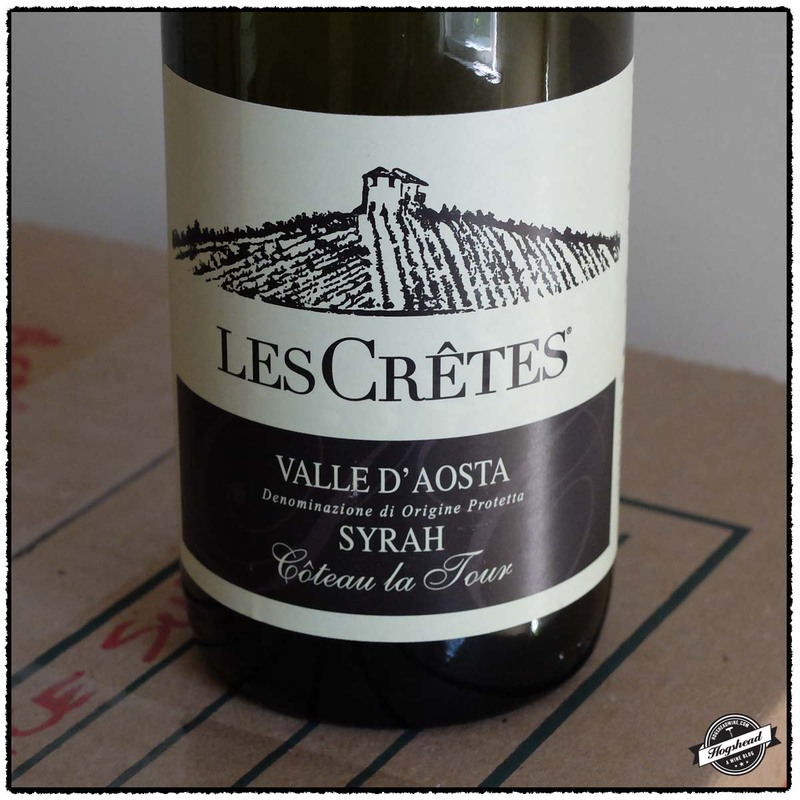 The 2012 Les Crêtes, Syrah, Coteau la Tour, Valle d’Aosta tasted great on both nights. What grabbed my attention was the racy, mineral aspects that existed from the start. It is the more forward of the pair so it currently shows the best. I do think there are some wood notes that should continue to integrate through the winter. These wines are available at MacArthur Beverages. Imported by Monsieur Touton. This wine is 100% Pinot Noir which was fermented in stainless steel then aged for six months in stainless steel barrels. Alcohol 12.5%. The nose opened up on the second night to offer fresh red berries. In the mouth the varietal flavor was lively on the tongue tip. It revealed an orange hint that developed into a proper citrus infused middle that matched the riper yet precise flavors. There was watering acidity. This was really quite pretty with attractive floral notes. **(*) 2016-2019. Imported by Monsieur Touton. This wine is 100% Syrah which was fermented in stainless steel then aged for 12 months in 300 liter French barrels. Alcohol 14%. There was an attractive, rather focused racy bit of flavor enveloped by cranberry red fruit. There was nice texture as the wine left lingering red and black flavors on the gums. There were some oak and leather notes. **(*) Now-2019.